Popeye Caution and IzyBeats are true musical partners in crime. The Miami-based, Jamaican-born artists have a natural chemistry in the studio that fuses dancehall, reggaeton and trap. Today, the pair brings their new single “Work” to streaming platforms and shares the universal, dancefloor-ready language of their sound. At the top of 2019, “Work” announces a new chapter for the artists both independently and as a duo. For Popeye, whose career started as a dancer in his Caution dance crew, this year means delving deeper into the music. He’s shared the stages with Elephant Man, Mavado, Beenie Man and more and learned from the greats like legendary dancehall dancer Bogle. And while his dancing is far from behind him, it now serves as a tool for him to enhance his chops behind the mic. Izy, on the other hand, is enjoying the massive success of “Toast,” a hit single he produced for rising reggae artist Koffee. The song, released last December, is undeniably lovable, as is the young artist who performs it and Izy’s signature intro: “Yo, Izy! Are you kidding me?” Izy’s production spans across the reggae and dancehall world, from Ky-Mani Marley to Vybz Kartel, and “Toast” has proven to put him even more on the map. 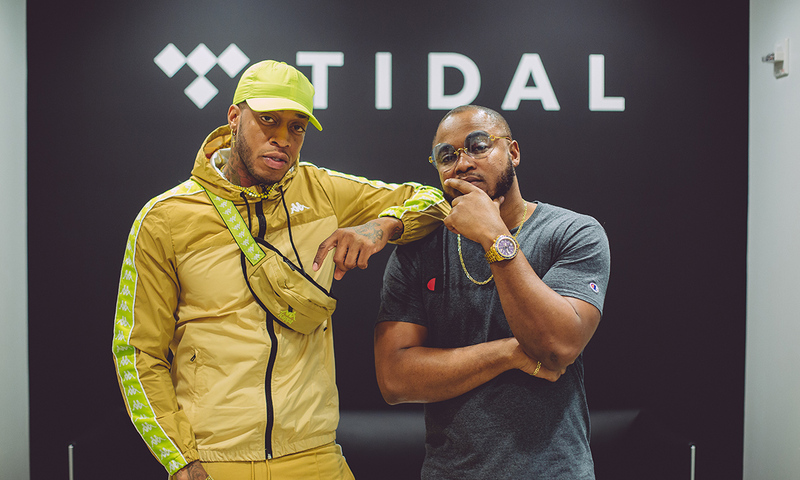 In this Q&A with TIDAL, Popeye and Izy talk about “Work,” “Toast,” upcoming music and more. Izy: That’s how you know! On how Izy and Popeye linked up… Popeye: My friend introduced me to Izy. Izy: He’d been telling Popeye about me for years. Popeye was just performing all the time, and our friend was saying, ‘Oh, you need to meet with Izy.’ It happened, and we just kept going from there. He was a dancer first, he knows what the sound is in the clubs, what people like to hear. That’s where I knew him from. I knew he was into that, so I was like, ‘Let’s just link and see.’ And we came up with ‘Hollywood’ first, and it turned out really good. We’ve just kept it going! On when Popeye starting making music… As a dancer, I always had a dancing song and a hit, but I still didn’t take it as seriously. I was just recording songs to promote my dances. I always had it in me, but it took Izy to really step up my level of artistry. On Popeye’s debut EP, which is slated for summer of 2019 release… Popeye: Yeah, we got some nice stuff. All kind of genres. Being a reggae artist, I’m not going to just be in a reggae lane. I make crossover music for everybody. Izy: We don’t put a cap on what people do. We just make music that people love and music that everybody understands. On their favorite place to perform… Popeye: L.A. Everybody is just so happy and there for the music. In Miami, when you’re on, you get love. L.A. just accepts you as a new artist. Izy: L.A. has natural supporters. If your music sounds good and you’re performing, they love it, they give you the energy right back. In Miami, you don’t get that. Izy: Actually, to tell you the truth, [manager] Ron [Elvis] set up a session with some people. They came in and I created everything from scratch like before. Those artists had the song on it. We had a whole session that day. And for some reason, Ron sent the instrumental to Walshy Fire [of Major Lazer] accidentally. He wasn’t even supposed to get it, but he got it. Walshy heard it and presented it to Koffee. The song was done.I already had a song for it that was already good, but once Walshy sent the version that Koffee did, we heard it and we’re like, ‘Oh, we’re deleting what we did.’ We had another song on it already. I mixed it and was ready to go. And then when we heard ‘Toast,’ we were like, ‘Oh, no. This is the perfect song for the beat.’ And we just ran with it. It’s such a feel-good record, and she’s got the thing everybody calls the ‘it factor.’ People just love her. Popeye: In Jamaica, December is the time to party. Everybody’s in the mood. The timing couldn’t have been better. Right into the new year when everybody just wants to feel good. Blessings into the new year! On Popeye’s dancing mentor, the late, legendary Bogle… In the dancing scene, Bogle would be our Michael Jackson. He’s like the coldest thing. I had a chance to hang with him and do tours with him. When he does his moves, I make sure to learn it just like him. He was a big part of the reggae culture. I watched him and wanted to be a dancer. Bogle put me in that lane. He’s legendary. I met him for the first time a while back. I’d been around him for two years. I never like thinking about it because we were so close for that time, it kind of messed me up. That’s why I think I came out of dancing. After that, we prolonged it for a minute, but it’s not the same.